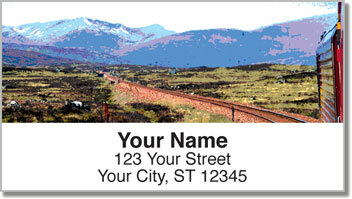 From the highlands to the lowlands, these scenic return address labels celebrate the lush landscapes of Scotland. 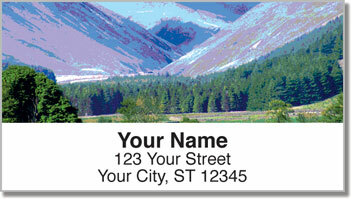 Rolling green hills, rugged stone buildings and rustic train tracks through Rannoch Moor, you'll find all of this on your new labels. You can almost hear bagpipes playing and feel the morning fog on your face. Whether you want to celebrate your own Celtic heritage or simply love the look of these labels - they're going to make a tedious task quick and easy. 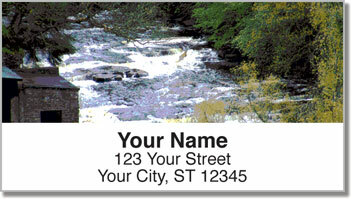 You'll no longer have to scribble out your return address on every envelope. Just stick a self-adhesive label on every letter or package. Then move on with your day! 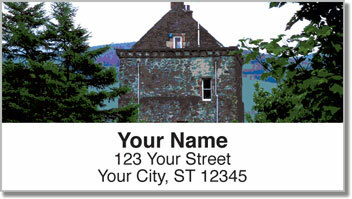 Order your own Scenic Scotland Address Labels right now! You'll also find matching personal checks.